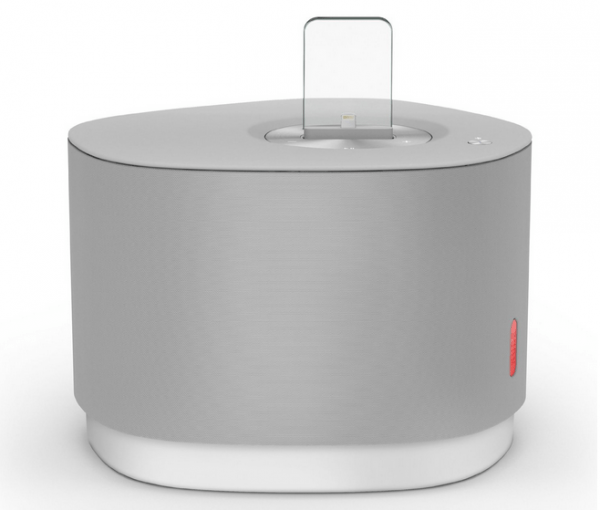 Following their success on portable media players, NudeAudio have announced their first designed for home sound system. The Studio 5 gives you an unorthodox design and frame, with a built in port to charge your iPhone 5/5s/5C, or even your latest iPod. It also features Bluetooth connectivity as well as 2.1 speakers. Play and charge compatible iPod, iPhone models with Lightning connector including iPhone 5, iPhone 5S, iPhone 5C, iPod touch 5th Gen. Studio 5 is available today at £149.99 and can be bought from Grand Street (https://grandst.com/p/studio5), John Lewis (in the UK) and Amazon. Further design, homeware and consumer electronics stores will be announced in the coming months.